What does the next phase of CPEC look like? Almost all provincial, regional govts have submitted feasibility studies, except Balochistan. WHAT CAN WE EXPECT FROM THE JCC? The two-day Joint Cooperation Committee (JCC) meeting of the China-Pakistan Economic Corridor (CPEC) sets the stage for the second phase of the multibillion-dollar cooperation between the two nations. It attempts to formalise the future roadmap for industrial and economic collaboration involving special economic zones along the CPEC stretch in Pakistan and adopt a Long Term Plan (LTP) 2030. The main focus of the seventh JCC will remain special economic/industrial zones even though all the five joint working groups (JWGs) — Gwadar, energy, transport infrastructure, special economic zones and planning — would meet on the first day (today) to remove any irritant and suggest the way forward. The JWGs comprise secretary-level officials of the two countries. The new projects, mostly small to medium size, will be finalised by these groups for inclusion in the overall portfolio. Even though Pakistan had originally lobbied for its financing, it has already been settled in recent interactions that the $14 billion Diamer-Bhasha Dam would not be made part of the CPEC because of unacceptable demands from Beijing for the transfer of its ownership. The key projects expected to formally become part of the CPEC are $8bn Main Line-I (the 1,875km railway line from Karachi to Lahore to Peshawar) and $3.5bn Karachi Circular Railway. The financial appraisal of these new projects has been completed and their future course of action will be approved. 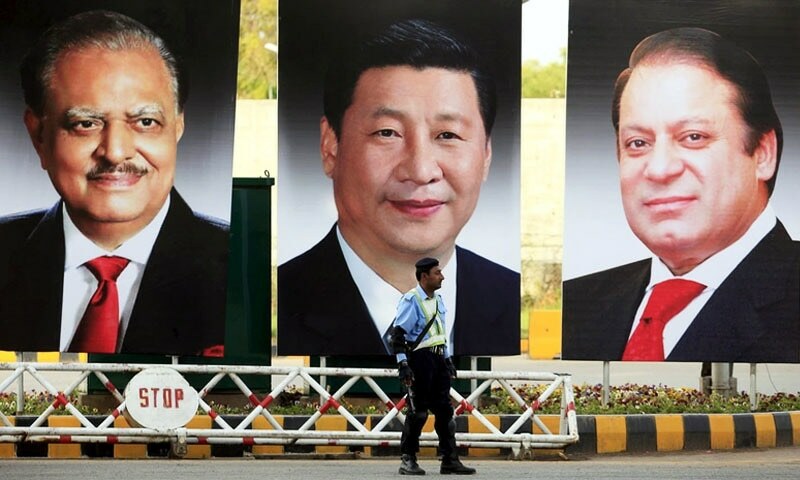 On the second day, the JCC — led from the Chinese side by vice-chairman of the National Development and Reforms Commission (NDRC) and from the Pakistani by Minister for Planning Development and Reform Ahsan Iqbal — will meet all the four chief ministers, heads of regional governments and the Federation of Pakistan Chambers of Commerce and Industry. The JCC will take recommendations finalised by the JWGs, and formal agreements would be signed for most of the projects cleared by the sixth JCC meeting held in Beijing last year. A cabinet committee on the CPEC presided over by Prime Minister Shahid Khaqan Abbasi has already cleared the proposals for the fresh projects and nine SEZs that would be offered 15- to 20-year tax holidays in case investment is made before 2020. The Board of Investment would sign an overarching agreement with its Chinese counterpart for all the nine SEZs on behalf of the provinces and regional governments, ie Azad Jammu and Kashmir (AJK), Federally Administered Tribal Areas (Fata) and Gilgit-Baltistan (GB). Under the road map, the Chinese side would start investing in the SEZs immediately after JCC’s clearance to avail benefits of tax exemption. 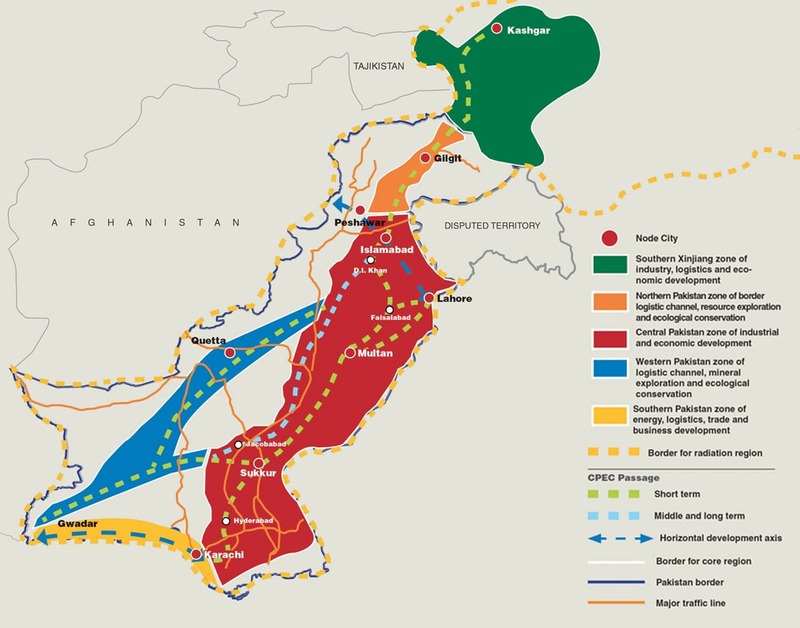 There is a strong possibility that Chinese institutions and the private sector will pick a dedicated SEZ or industrial park, most probably Rashakai near Nowshera owing to its compact feasibility and 100 per cent 1,000-acre land acquisition, and another at Maqpoondas in GB for its close proximity with Kashgar in Xinjiang. There are indications that because of its feasibility study, the availability of relevant raw material and infrastructure access, the Chinese would offer to develop the Rashakai SEZ on their own for industrial units relating to fruit, textile and packaging. Almost all the provincial and regional governments have submitted their feasibility studies, except Balochistan which has yet to complete the task. The initial plan is flexible and is aimed at starting work immediately in those SEZs and projects which are ready and to chip in others as they get ready. The special economic or industrial zones also include the Dhabeji economic zone in Sindh, for which 1,000 acres have been earmarked, whereas the development of an industrial park on 1,500 acres of Pakistan Steel Mills’ land at Port Qasim is awaiting land transfer. Moreover, the 200-acre Bostan industrial zone in Balochistan, Allama Iqbal industrial city near Faisalabad, Mohmand marble city in Fata, ICT model industrial zone in Islamabad and a mix-industry special zone in Mirpur, AJK, are under process but have yet to take off. One challenging aspect of the CPEC is the availability of portable water for Gwadar Port City, for which authorities are running from pillar to post. Against the requirement of 12 million gallons per day (MGD) for the port city, the authorities have been able to ensure around 1MGD for now. The supply would be increased to 5MGD with the installation of a desalination plant in six to 10 months. As for the Long Term Plan, the draft has already been finalised by the two sides under which CPEC should take an initial shape by 2020, addressing major bottlenecks to Pakistan’s economic and social development, and for the CPEC to start boosting economic growth for both countries. “By 2025, the CPEC building shall be basically done, the industrial system approximately complete, major economic functions brought into play in a holistic way, the people’s livelihood along the CPEC significantly improved, regional development more balanced and all the goals of Vision 2025 achieved,” says the LTP. The LTP envisions the two countries striving for synchronisation and reciprocity of economic development. China’s key objective is to gain the quality and efficiency improvement of the textile and clothing industry, expand its size and increase the supply of high value-added products, and in the process promote the Kashgar Economic and Technological Development Zone, and Caohu Industrial Park to adopt means like export processing. On the Pakistani side, the key objective is to expand cooperation in the appliance industry, promote Pakistan’s industries from assembling imported parts and components to localised production of parts, and encourage various forms of Chinese enterprises to enter the Pakistani market to improve the development of energy efficient appliance industry. It also envisages industrial capacity cooperation in sectors such as chemicals, engineering, agro, iron and steel and construction materials, and the of use efficient, energy-saving and environmental friendly processes and equipment to meet the demands of Pakistan’s local markets while further expanding into the international market. Click on the tabs below to explore provincial pitches for the JCC. Keen to make up for the lost time, beat the perception of underperformance and generate political capital for next year’s general elections, Sindh’s team burned the midnight oil to get ready to claim the province’s share in the multibillion-dollar CPEC pie. It intends to push three new projects in the CPEC fold in the seventh meeting in Islamabad of the Joint Cooperation Committee (JCC), the apex decision-making forum jointly chaired by Pakistan’s planning minister and vice-chairman of National Development and Reform Commission of China. The PPP-led provincial government has identified the Karachi Circular Railway (KCR), Dhabeji special economic zone (SEZ) and Keti Bandar as projects that in its view promise widespread returns to its electorate and will be most economically rewarding in terms of closing the infrastructure gaps in Sindh. Insiders say the province is not expecting a breakthrough in all three projects, but it is hopeful that the KCR — already approved by all pre-JCC forums — would get the green light during the moot and take off as early as January. Naeem uz Zafar, chief economist at Sindh’s planning department, sounded positive. “We are all set to pitch in and present a strong case for making the said projects part of the CPEC deal,” he said. Under the CPEC, 13 projects have so far been located in the southern province. These include: Matiari-Lahore transmission line, Matiari-Faisalabad transmission line, Port Qasim power plant, Engro Thar power plant, an open-pit mine in block-II of Thar coalfield, upgrade of ML-1, Thar coal block-I and mine-mouth power plant, Gwadar-Nawabshah LNG terminal and pipeline, Karachi-Lahore motorway, and Dawood, Jhimpir, Sachal and China-Sunec wind farms. However, all of these projects were said to be conceived and developed by the federal government in collaboration with the Chinese, with minimal input from the provincial government. 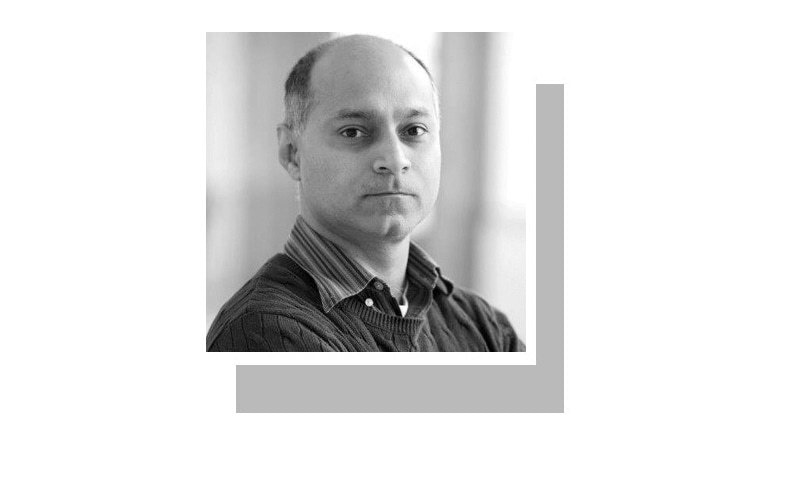 When confronted on the exclusion of Sindh in the planning phase of the corridor project, a key character in Pakistan’s CPEC story told this writer last year that the pressure from the Chinese side to move quickly did not allow the federal government time to fully integrate the provinces initially. “Besides, we did not expect quality input because of the limited capacity of the provinces, particularly the smaller three. Our position was vindicated when we did try to take them on board and asked them to send project proposals complete with feasibility reports. It took them months to send half-baked list that required work to shape up,” he said. “It’s the easiest for provinces to blame the Centre and cover up their own incompetence,” he argued, banging the table. Responding to a question about Punjab’s participation and the perception of the unfair preferential treatment it gets by the ruling party, a federal minister dismissed the argument as baseless. Muhammad Waseem, chairman of Sindh’s planning and department board, believed that unlike Punjab, Sindh has not been able to publicise the progress on multiple development projects. He was particularly boastful of the work done ahead of time in Thar coalfield. He was confident and looking forward to the CPEC meeting. However, another senior member of the hierarchy in Sindh laughed off the accusatory tone of Centre, and contested PML-N’s claim to take credit for the CPEC. An agitated politician asserted that the politics of oppression of smaller provinces can’t be brushed aside in Pakistan by calling it a figment of imagination of disgruntled, misguided elements. “It’s like blaming the poor for their misfortune,” he said. “Decades of deprivation have left their mark. The provincial government has been trying to deal with the situation, but infusing confidence and building capacity is a long, arduous process in a province where the situation is as complex as in Sindh,” he said, indirectly accepting flaws in the governance framework. Sindh’s planning and development department did develop a long list of projects it considered crucial for the socio-economic development of the province and harnessing its potential with China’s support. They covered piped water supply to households, the extension of sewage network, upgrading of irrigation, agriculture modernisation, industrial parks near farms, transport, and health and education. Currently, however, the department has prioritised three projects, as mentioned above. Of them, the Sindh hierarchy expects tangible progress on the KCR during the Islamabad huddle. The other two, though endorsed in principle by the federal government and the Chinese, might be deferred till the next deliberations because of an already heavy agenda for the JCC. There was nothing to suggest that the provincial government involved the private sector or lower tiers of the government in crafting its proposals for the JCC. The Punjab government is ready to pitch at least two under-construction industrial estates in the province for their inclusion in the list of the 27 priority special economic zones (SEZs) to be established across the country under the China-Pakistan Economic Corridor (CPEC). The case for the two industrial estates in Faisalabad and Sheikhupura will be made at the seventh meeting of the Joint Cooperation Committee (JCC), scheduled to be held in Islamabad on Nov 20-21 to review progress on the projects already under way. Punjab is said to be the largest beneficiary of the official and private Chinese investments being made under the CPEC project, especially in the energy and transport infrastructure. Mujtaba Paracha, the provincial industries’ secretary, told this writer that Punjab has completed comprehensive feasibility reports regarding both the economic estates to be presented for their inclusion in the CPEC projects. The development of the Faisalabad industrial estate was at an advanced stage, he said, and hoped that it would be added to the list of SEZs under the corridor initiative that will connect China’s western-most region with the rest of the world through the Gwadar deep-sea port. The new SEZs will be owned, controlled and operated by the provinces. But the federal government hasn’t announced the framework under which these zones will operate and what kind of benefits will be available to the investors. Local businessmen as well foreign companies operating in Pakistan fear that these zones are being created exclusively for Chinese companies where they will enjoy extensive tax and labour law exemptions, creating an uneven field for existing domestic and foreign firms. The local businesses as well as foreign companies have long been demanding that the SEZs not exclude them. The government has not yet come up with any explanation. In fact, the new apparel park along the Lahore-Islamabad motorway near Sheikhupura is expected to be exclusively for Chinese investors. Mr Paracha said the Punjab government also planned to raise the concerns of the business community from Punjab about their share in the future industrial cooperation between the two nations, as work on the trade route and SEZs gains momentum. In addition to pitching the two industrial estates for inclusion in the SEZ list, Iftikhar Ali Sahu, Punjab’s planning and development department secretary, said projects like the Lahore-Multan motorway and Multan-Sukkur motorway would also be discussed on the first day of the meeting between officials of the two neighbouring countries. The secretary said the projects related to tourism and agriculture will be taken up at a later stage “because other sectors are our main priority at the moment”. A provincial agriculture department official confirmed that no project related to agriculture was on the table at present. “The [$1.65 billion] Lahore Orange Line Metro Train project was discussed at the last JCC meeting in China. The delay in the completion of the project [because of cases against it pending in the courts] may also be taken up in the next review,” Mr Sahu said. He explained that the JCC met every six months to review the progress on the ongoing projects under the trade route initiative as well as to discuss new ones. “On the first day, Pakistani government officials meet their counterparts and on the second day the political leadership of both the countries hold discussions,” he said. The six-month review of CPEC projects is a regular feature and it would continue till 2030. “We will have four working sessions to discuss in detail the progress on the projects in seven sectors: infrastructure, energy, transport, Gwadar, banking, tourism and agriculture,” he said. “We have outlined long-term plans for 2030, mid-term for 2025 and short-term (for two to three years). While reviewing the progress made so far, the meeting will analyse sector-wise development. If there are delays in any project we try to address the issue on a top priority basis so that it doesn’t linger on for another six months,” he said. Punjab Industries, Commerce and Investment Minister Sheikh Allauddin said the province will also pitch Chunian, Vehari and Rahim Yar Khan industrial estates for inclusion in the CPEC. But he too expected only the industrial estate in Faisalabad to be included on the list of SEZs at this stage. The long-term plan will actually reveal the direction of future bilateral cooperation between the two countries in the industrial and agriculture sectors. Much has been said of the CPEC's role in boosting the country’s economy. While provinces have tried to grasp the opportunity to use the huge Chinese investment to develop their own industrial zones and enhance sectoral capacity, Balochistan, apart from Gwadar, has been slow on the uptake. With the seventh JCC meetings coming up, the province aims to propose six new projects, according to official information provided. 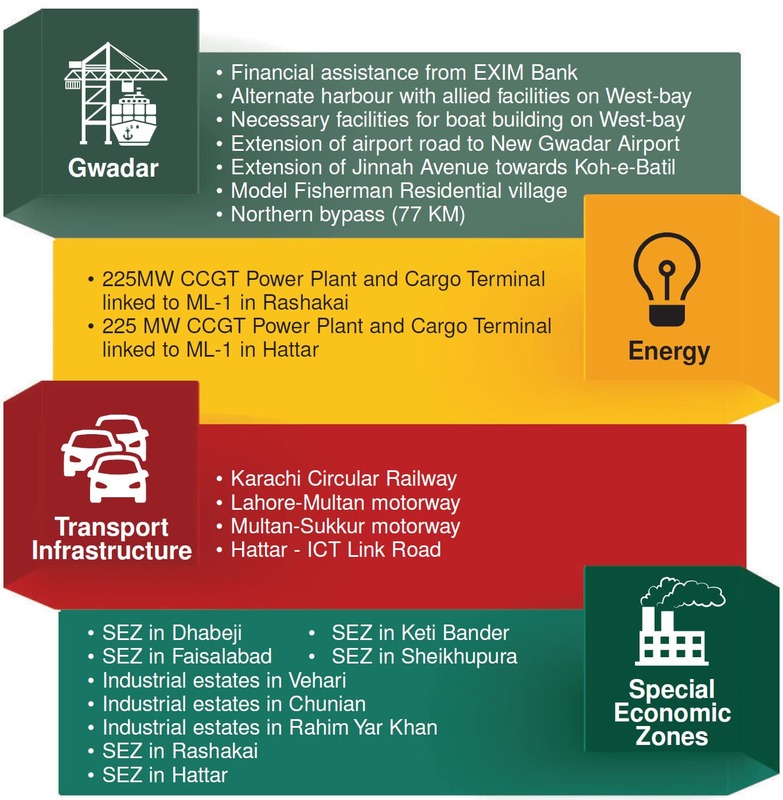 A look at these shows a rigorous focus on progressing Gwadar’s development along with further logistic advancements. The six projects that the province will present in the JCC are: Financial assistance from EXIM Bank for Gwadar; Construction of alternate harbour with allied facilities and establishment of necessary facilities for boat building industry on West-bay of Gwadar; Model Fisherman Residential village; Northern bypass (77 KM); Extension of airport road to New Gwadar International Airport; and Extension of Jinnah Avenue towards Koh-e-Batil and Northern bypass. Even though Balochistan led the way with 13 projects that were approved in the sixth JCC meetings in December last year, there has been criticism from various quarters that the thrust of the development has been focused on Gwadar leading to unequal growth in the province. Some officials spoken to were of the opinion that, along with Gwadar, until and unless the rest of the provincial economy was not integrated within the CPEC project, sustainable progress would not take place. There were multiple mentions of Lahore’s Rapid Mass transit projects as a first step towards this holistic growth. When pointed out by this writer that the provinces were free to put forth plans that would bring about this integration, they lamented the fact that projects related to the socio-economic development of the province were not really of interest to the Chinese and were, therefore, rejected. Projects focused on the afore-mentioned socio economic development, and which were supposed to be presented in the upcoming JCC, were the Quetta Mass Transit projects, the transportation of water from Pat-Feeder to Quetta project and the Bostan Special Economic Zone. All of these will now be postponed as the initial work for their presentation has not been completed. On an enquiry into the reasons why the initial work had not been completed an official made a case for the province’s capacity constraints. He was of the opinion that the federal government should support the province by providing technical assistance and bemoaned the federal departments’ indifference. When asked, Additional Chief Secretary (Dev), planning and development, Mr Qamar Masood stated that the government’s current focus in Balochistan was on Gwadar and developing communications channels. He said where economic expansion was concerned, it was a part of the CPEC and Balochistan was not going to be left behind; all investors wanted good labour, water and electricity but providing them was not a six or 10 month long issue. It would take time. He referenced the Bostan Special Economic Zone as an example of simultaneous projects from which the entire province would benefit, stating that “while it has a lot of issues, consultants are working on the feasibility which will be completed around March. It is the most feasible project. Projects take different time frames for completion; this is not about politics but the nature of the project”. Planning and Development Secretary Asfandyar Kakar, addressing the Quetta Mass Transit Project said “My department has taken up the task of hiring a consultant to complete the groundwork. Now we’re trying to increase our capacity and step up our game”. Irrespective of everything Mr Kakar went on to say that in his opinion the CPEC “will definitely be a game changer if we keep the province’s interest in the forefront”. Ahead of a high-level meeting, the Khyber Pakhtunkhwa government has approached the federal government to jointly push forward to include priority development projects of the provincial government in the China-Pakistan Economic Corridor framework. These projects will be discussed in the upcoming Joint Cooperation Council at Islamabad. The move came from the provincial government amid fears that Chinese may drop some of the key priority projects of the KP government as was hinted in the recent Joint Working Group meeting in which China has backed out from its earlier stance, especially the understanding reached on the highly trumpeted project of establishing a special economic zone over 1,000 acres along the M-1 Motorway in Nowshera near Rashakai. In the 6th CPEC JCC meeting held in 2016, different sites for the establishment of SEZs were identified. In KP’s case, 17 sites were identified for SEZs. Only two of the 17 sites were referred to the JWG for consideration — SEZ at Rashakai as priority and Hattar Phase VII industrial zone (alternative). As per agreement, Rashakai SEZ from KP has been nominated as a priority SEZ — KP’s Flagship industrial project at an area of 1000 acre expandable to 2600 acres. An official of the KP government said that based on the feedback received from the experts of National Development and Reform Commission (NDRC), formerly state planning commission of China, regarding outstanding points, ground work is also being started at the site. “We are working on ground-breaking ceremony of the site”, the official said, the earlier tentative date was November 17. The PTI-led coalition government projected Rashakai industrial estate as one of the major projects to be on ground ahead of the next general election. But to the surprise of the KP government, in the CPEC JWG meeting held in Islamabad on November 9, the NDRC showed keen interest in Hattar industrial zone instead of Rashakai. According to a source in KP planning department, Chief Minister Pervez Khattak was not happy at all with the sudden change in the original plan. A letter is being sent to Interior Minister Ahsan Iqbal who also holds the planning and development portfolio, to include Rashakai SEZ in the CPEC framework as envisaged. It was emphasised in the letter that Hattar is the second choice of the KP province and may be offered in addition to, not in replacement of, Rashakai SEZ. “We are certain that the Mr Ahsan Iqbal will appreciate that KP has in place a sound provincial Industrial Policy, with incentives properly funded by its own resources, backed by a proper disbursement mechanism. Hence KP is qualified and equipped to host SEZs”, the letter said as quoting the chief minister. Uncertainty also prevails on whether these SEZs will be established as a joint venture or be purely owned by Chinese companies. One source in the provincial government said that one of China’s largest state-owned companies, China Road and Bridge Corporation, has shown an interest in acquiring 1000 acres to develop an exclusive zone at Hattar. However, according to the source this proposal has not received substantive support from the provincial government. “We are not clear about the Chinese government’s policy because it keeps changing”, the source said, adding the only issue is the writing of minutes in the Chinese language. It was observed on many occasions that the spirit of the decisions changed when they were translated to English. KP sees the CPEC framework as a timely and appropriate vehicle for economic uplift and for sharing the dividends of peace with people in the province. In this background, the provincial government has offered the federal government consider SEZ at Hattar instead of one originally envisaged in Islamabad Capital Territory for inclusion in CPEC framework. It is believed it will serve needs of Islamabad-Rawalpindi/Western Punjab which is a severely an under-developed area. As per proposed plan, the Hattar SEZ may be connected (for light-medium traffic) directly with ICT through the proposed Dhorian — Pind Muneem — Tunnel under Margalla / Shah Allah Ditta — Islamabad D-12. This project may be clubbed together with Hattar SEZ and included in the CPEC Framework, for the benefit of the people of ICT as well as remote Hazara, said an official of the provincial investment board. For the November 20-21 CPEC 7th JCC meeting KP has sought help of the federal government to include projects in the framework. These include Rashakai SEZ, including 225MW CCGT Power Plant and Cargo Terminal linked to ML-1. It was also proposed to include Hattar SEZ, including 225 MW CCGT Power Plant and Cargo Terminal linked to ML-1, and Hattar — ICT Link Road in CPEC framework. The proposal from the provincial government includes establishment of D I Khan 225 MW CCGT Power Plant for SEZ. In April 2017, the power plants have already been presented to the expert group of the energy and power JWG. KP believes the inclusion of these projects will set an example of national integration and collaboration for the benefit of all people. What happened to the Dam project???? Mere loud confessions do not serve the purpose. Political instability.lethargic attitude of people and age old technologies use in industrial sector coupled with the corruption prone government red tape do wonder to stigmatize and make controversial the CPEC nationally and internationally. It's transparency is still in question. So the layman is unable to understand the politicised project's lustre that has put progeny in unending debt. I think government should introduce policies to encourage small investors as well. Building SEZ and infrastructure is beneficial for those who are already well off. Does any active tax payer gets benefit of this? are the terms dictated by china? I strongly believe CPEC should be beneficial to tax payers whether organization or individuals. This is a life line of the nation's survival into future and must be protected from all ill wishers at all costs. @MG: Damn care about Dam projects. All are under water. This is a Win Win project for both countries Pakistan and China. Great project. @Changez Khan I fully agree with you.It is time for Pakistan to bring about big changes in the country for the people of Pakistan.Like you I am also optimistic about CPEC. 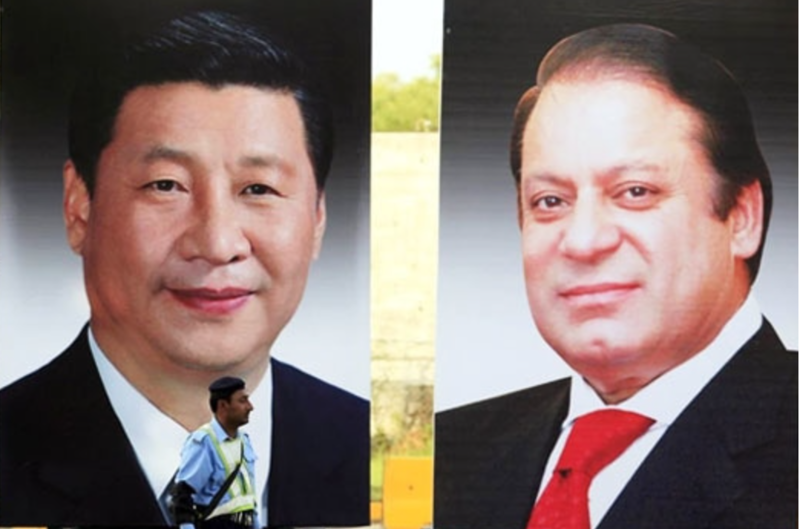 China needs Pakistan politically and economically and so does Pakistan.The prosperity is right around the corner. @Najm tax payer benefits include an estimated 700, 000 jobs being created. Considering there are only just over a million actual registered tax payers in Pakistan, this should take some of the tax load off existing tax payers as well. What's the first phase of CPEC look like? 75+ percent of CPEC was dedicated to energy projects which were suppose to be completed by 2018 - that's about a month away. Anybody have consistent power? You need a serious Government to make this work. @Changez Khan, Granted China does not believe that they hold all the cards, Chinese are aggressive in their business dealings, they want control, they want to be the ones making decisions, but I do like the way few leaders are not allowing the Chinese to have it their way. Yes China is the investor, but China will also get a handsome return on their investments, which they will not get any where else. Indeed its a win win, but Chinese are expecting it to be a 70-30 ratio, Pakistan being the 30% winner. our 2 province Sindh & Baluchistan do not cultivate their lands, had they cultivated their lands no such scheme like CEPAC could had evolved. this is good luck of Pakistan that China is using such baron land, with benefits for Pakistan. it is prayed that no leader loot country's revenue to built industries in abroad. Naysayers have no alternative viable options. When they come up with alternatives they may be considered. My good wishes to the CPEC project as an Indo Canadian. May the project become successful as envisaged to bring peace and prosperity to the people of Pakistan. Good Luck. Ahh!! Presenting some thing on a Site in a Presentation doesn't ensure the Dispensation of all the things that have been Claimed.Secondly,What about the fertility of Land.I'm not to daunt anyone but these are the not mere theoretical facts but actually they have be considered before time and their should be better surrogate for all these factors. Saying as we are all the Heir of Land otherwise CPEC no doubt the best Ever Project in Pakistan History. @Masood ur rehman who told you that sindh and balochistan do not cultivate their lands? Do you know about annual quantity of rice, wheat, vegetable and other produce from sindh and balochistan? ?